Upon the successful completion of the program, you will receive lifetime support from the Global Sciences Foundation. But you don't need to be a Hypnotist to take the course. If you want to grow your business, regardless of your area of expertise, Hypnotic Writer 101 is a 'must-have' course. By mastering the mechanics of Hypnotic writing, you will take your business to the next level and position yourself to be a thought leader in your area of expertise. Be Confident and Stop Overanalyzing! These five easy-to-follow modules come in PDF format for fast, easy download and study. A: Yes. To the best of our knowledge, at this time, our certification is accepted everywhere. However, you should always check your local laws and regulations. Q: Will I need any other training in order to write hypnotically besides your course? Q: Will I be properly trained if all I take is your online Hypnotic Communicator Certification program? A: Ideally a Hypnotic Writer would be trained in a classroom setting with an instructor physically present. Unfortunately, this luxury is not practical for many people. When we factor in airfare, hotel, time away from work and family, etc. the costs both monetary and otherwise quickly add up. For this reason, many institutions have turned to online training as a viable method to meet modern needs. In fact, Columbia, Harvard, and Cornell, among others, have extensive online programs. Dr. Steve G. Jones, Ed.D., while working on his doctorate in education, extensively studied the online programs offered by Ivy League schools. He then was able to take what he learned from the curriculum and combine it with Dr. Joe Vitale's adept knowledge on Hypnotic Writing to create a Hypnotic Communicator training program that offers university level training and skills. Additionally, in this course, you are encouraged to find study partners to exchange your wriiten work with. Q: What about licensing requirements for Hypnotic writers. Are there any? A: At this time, to the best of our knowledge, there are no licensing requirements Hypnotic writers anywhere in the World. However, if you start a business, you will generally need a business license. You should always check your local laws and regulations. Q: What do I get when I invest in the Hypnotic Communicator Certification program? A: It takes about 2-3 weeks if you move quickly by reading the manuals, and doing the writing exercises. A: You have to show you have understood the five modules by completing a multiple choice exam and submitting a one-page single-spaced essay. A: Upon completion of this program, you will receive a beautiful certificate sent via email, which you can print out and proudly display for your clients to see. 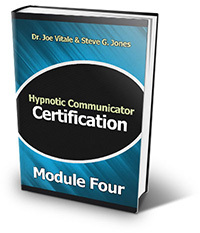 It will have your name, title (Certified Hypnotic Communicator), and your certification number. A: The program is taught by Dr. Joe Vitale and Dr. Steve G. Jones, Ed.D. using a series of 5 specialized manuals. Q: What are Dr. Joe Vitale and Dr. Steve G. Jones, Ed.D. 's qualifications as instructors? Dr. Steve G. Jones, Ed.D. has over 20 years experience as a certified clinical hypnotist, both teaching hypnosis students and working with clients. His list of former clients includes: Danny Bonaduce, Jeraldine Saunders (creator of the Love Boat TV series), Tom Mankiewicz (writer of Superman the movie), and many other celebrities. He is a member of the National Guild of Hypnotists, National Board of Certified Clinical Hypnotists, founder of the American Alliance of Hypnotists, member of the International Registry of Clinical Hypnotists, has presented his hypnosis research at the American Council of Hypnotists Examiners, received the President's appreciation award for his outstanding contributions to the American Association for Adult and Continuing Education, is a member of the American Board of Hypnosis, recipient of the National Leadership Award from the United States National Congressional Committee, received a Bachelor's degree in Psychology from the University of Florida, received a Master's Degree in education from Armstrong Atlantic and State University, received the educational specialist degree from Georgia Southern University, and is currently a doctoral candidate in education at Georgia Southern University. Steve has recently been featured on TruTV, CNN, and is under a development contract for his new television series on hypnosis. Q: Do I need an advanced degree to become a Hypnotic Communicator, such as a Bachelor's degree or a Master's degree? A: No. In most states in the United States, and in most countries, our program is all you need. A: Yes. 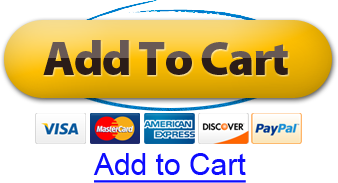 You will be listed on the international online list of Hypnotic Communicators. Q: I am a layman with no writing background. Will this program actually take me from the ground floor up and teach me everything I need? A: Yes. This program is extremely thorough and it will teach you everything you need to know to be a certified Hypnotic Communicator and help you build your own business. Thanks to the lessons from Dr. Joe Vitale and Dr. Steve G. Jones, Ed.D., I've had two books: "Title Withheld by Request" and "Title Withheld by Request" hit #1 in multiple categories on Amazon, and my other books are doing better than they ever have just by rewriting my sales pages. I was making $100-$150 a month on Kindle and now I'm paying all of my bills from Amazon alone. THAT is the difference this course can make. This course is amazing. It opens your eyes to what Hypnotic Writing is all about. Joe Vitale really breaks it down and makes you realize that you can do the same thing. I am writing my 7th book and studying Hypnotic Communicator has given me fantastic ideas to improve it and make it a bestseller. The course models perfectly what Joe Vitale and Dr. Steve G. Jones, Ed.D. recommend. Never underestimate the power of words. They hold the key to changing people's lives, and moving them into greatness. The world has never had a more urgent need for Hypnotic Communicators and Writers than it has today. We look forward to assisting you on your journey, and hearing from you all the powerful changes you create among your family, friends and clients. Dr. Joe Vitale Dr. Steve G. Jones, Ed.S.